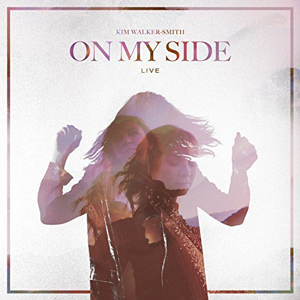 Kim Walker-Smith has released “On My Side (Live)” through Jesus Culture Music and all songs are now loaded into WorshipTeam.com “On My Side (Live)” is a live recording of some great new songs. On My Side Live (2018) is the result of just some of the incredible moments of worship captured during the On My Side Tour (2017). Kim sang each of these songs, which represent triumphant hope, over everyone who joined her during the tour. Throughout these live and raw recordings, there is an underlying theme – He is always with us! This collection of songs authentically explore themes of heartbreak and triumph while giving us all a glimpse into the past 4 years of Kim’s life. Kim has described that journey with God as one of incredible joy and overwhelming grief, birth and death, pain and betrayal, right alongside hope and resurrection. 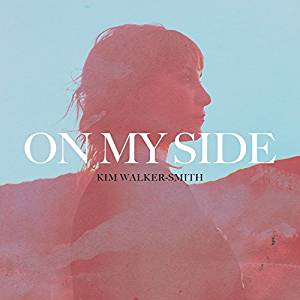 Kim Walker- Smith has released “On My Side” through Jesus Culture Music and all songs are now loaded into WorshipTeam.com “On My Side” is a recording of some great new songs. On My Side, Kim Walker-Smith’s her first solo studio project of brand new songs, explores themes of heartbreak and triumph and gives the listener a glimpse into the past few years in her journey with God. Through these songs Kim shares the story of what God has taught in the past season of her life, and the new places He is taking her. Although a departure from her live recordings, Kim’s unforgettable, soulful voice continues to capture exhilarating moments of worship through both nuance and strength as she weaves together this beautiful collection of songs. All songs are loaded and ready to use- just access your WorshipTeam.com system database. Jesus Culture Music has released “When Christmas Comes” through Jesus Culture Music and all songs are now loaded into WorshipTeam.com “When Christmas Comes” is a recording of some great new songs. Christmas music has the power to transcend present circumstances and vast stretches of time to evoke poignant memories like nothing else, no matter the time of year or the temperature outside. 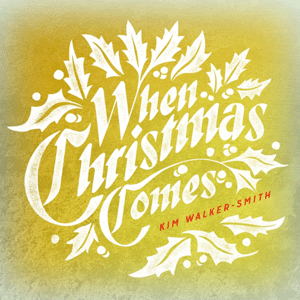 Worship leader Kim Walker-Smith experienced this as she entered the studio to record her first holiday album, When Christmas Comes. The vocalist, best-known as the front woman for Jesus Culture Band, donned a tank top, shorts and flip flops most days to usher in the Christmas spirit in the middle of July. Still, despite the 115-degree heat, Kim admits the songs brought back a flood of childhood memories throughout the recording process. “I’m finding out it doesn’t matter what time of year it is, if you’re listening to these classic songs, it just brings out these special memories and really warms your heart, thinking about how special family is,” she says. All songs are loaded and ready to use- just access your WorshipTeam.com system database. 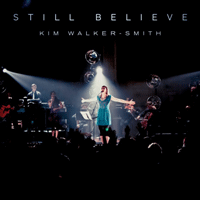 Kim-Walker Smith’s new solo album “Still Believe” now has all songs loaded into WorshipTeam.com. This is a live worship album featuring many new songs from Jesus Culture worship leader Kim-Walker Smith! All 8 songs are loaded and ready to use- just access your WorshipTeam.com system database. For a full album review, you can read more about it here.